●720P, 3.6mm Lens, Hisilicon 3518E, 11pcs IR leds ●With PIR Sensor, detecting distance 5M. ●Dual way audio, 3D noice reduction, pan/tilt, with free 64 channel PC CMS. ●Can work with any 433mhz wireless alarm sensor, motion detection, push alarm to email and mobile apps. 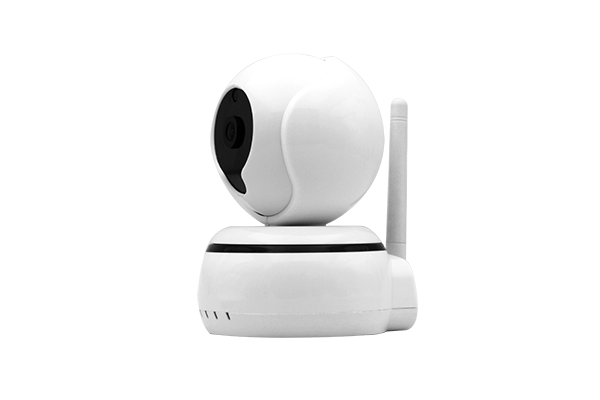 ● Built in WiFi 802.b/g/n, Onvif complied.Can work with other NVR or CMS. ●Auto flip sensor, picture will be flipped when installed upside down, wifi setting easy and user friendly within 3 seconds. ● DC5V/2A, support user authorization settings.